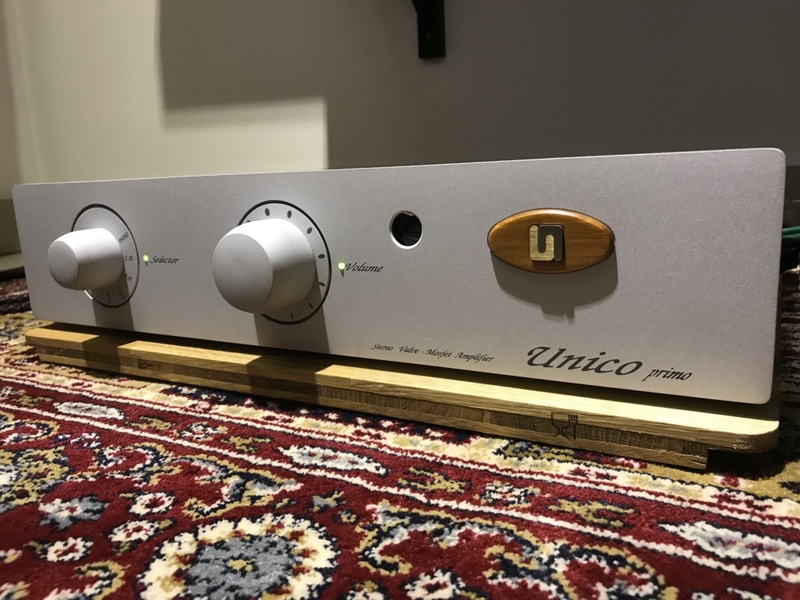 The Unico Primo is a hybrid amplifier with 80 wpc. The pre stage is with a 12AX7 tube. Earlier models had the 12AU7. The amp has a sweet sound that is not fatiguing to listen to. The highs are smooth, mids crisp & clear and bass warm but defined, typical of a tube preamp. This amp has a AV bypass input and also sub woofer output. Condition is very nice. Comes with box. Remote is starting to get faulty. Consider no remote. PM me if interested. Thanks! Hi, Can you reach me via Whatsapp(Steven) 0198878421for more details ?